The 2018 Oscars are right around the corner and this year has quite the list of Canadian contenders. 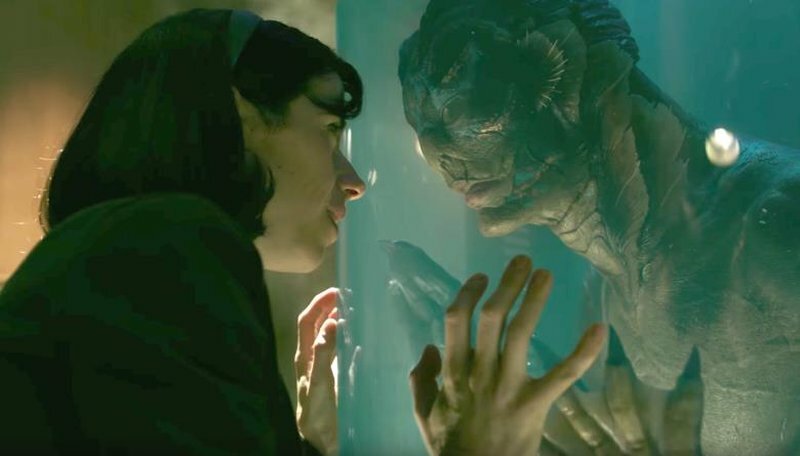 Guillermo del Toro’s The Shape of Water is leading with 13 nominations in numerous categories. The Ontario-shot film is nominated for best picture and has a cast and crew that is overwhelmingly Canadian, according to Toronto producer J. Miles Dale. Set in the Cold-war era, the fantasy thriller centres on Elisa, a mute cleaning lady played by Sally Hawkins who falls in love with an amphibian creature held captive at a top-secret research facility. Though the odd premise of the film sets it aside, it is a story permeated with political subtext, romance and realness that appealed to just about anybody that loves cinema. Most Canadian on the nominee list this year are nominated for their work in The Shape of Water, and deservingly so. Paul D. Austerberry, Shane Vieau and Jeff Melvin are among this year’s nominees for production design. Other Canadians nominated for The Shape of Water include Christian T. Cooke, Brad Zoern, Glen Gauthier for sound mixing, Nathan Robitaille and Nelson Ferreira for sound editing, Luis M. Sequeira for costume design and Sidney Wolinsky for film editing. Quebec film director Denis Villeneuve’s Blade Runner 2049 landed a total of five nominations. The sequel, inspired by the 1982 film directed by Ridley Scott, did not acquire the box-office success that many expected. Ryan Gosling of London, Ont., plays LAPD Officer K whose duty is to track down old replicants living long past their lifespan and have gone into hiding. Despite its underachieving performance at the box-office, critics agree on its phenomenal cinematography and visual achievements. Canadian production designer, Dennis Gassner is nominated for production design in the film. Gassner, who was in charge of creating this entire new dystopian world for the film, shared how he gained inspiration from multiple places including Montreal. Prior to production, Gassner came upon gigantic snow collectors roaming around the city at night that inspired him to replicate for the film. Toronto-born actor Christopher Plummer received a nomination for his supporting role in crime thriller All The Money In The World, which is based on a true story. Set in the 1970s, Plummer plays J. Paul Getty, late oil tycoon and richest man in the world at the time, who refuses to pay $17 million in ransom money when his 16-year-old grandson is kidnapped. The film had to undergo reshooting following allegations of sexual misconduct against Kevin Spacey, one of the lead roles in the film. Plummer was then asked to replace Spacey quite late in filming and step into the role of billionaire grandfather J. Paul Getty. Although the film faced many obstacles, Director Ridley Scott managed to not only pull it off in time for the movie’s release date, but it is an undeniable masterpiece. Plummer’s performance got him in the running for his third Oscar nomination making him the oldest acting Oscar nominee ever at 88 years old. The Breadwinner, based on a children’s novel by Canadian author Deborah Ellis, is nominated for best-animated film. The international co-production between Canada, Ireland and Luxembourg follows the story of Parvana, a girl that disguises herself as a boy to navigate her way through Taliban-controlled Afghanistan in order to work and support her family. Thirteen-year-old Toronto actress Saara Chaudry is the voice of the lead character in the celebrated film among other Torontonians who worked on the film. The animated film earned endless raves from critics by bringing to light how animation can be every bit as much of a medium for adults as it is for children. It is a story of female empowerment and courage that undoubtedly made it a triumph of storytelling. The 90th Academy Awards ceremony will take place Sunday, March 4, 2018 at 8 p.m. ET.